Learning these 5 easy meals to prepare when you’re moving can help you can to satisfy your appetite during the exhausting and physically demanding process of moving. 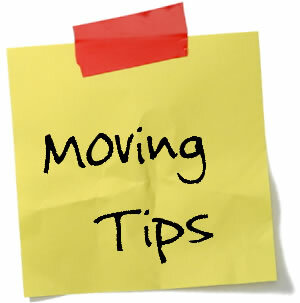 Even if you’ve made the smart decision of hiring professional movers to help with your move, you are still going to be tired. That means the last thing you want to do is spend hours in the kitchen cooking. Fortunately, these 5 easy meals to prepare when you’re moving can help to keep you and your family fed without resorting to eating fast food for a lengthy period of time. 1. Sandwiches. Sandwiches are about as basic of a meal as you will find. You don’t need to cook, which is ideal especially when you have your pots and pans all packed up. As an added bonus benefit you can even make extra sandwiches ahead of time, pack them in a cooler, then have food for the road. 2. Pasta. While you need a pot to cook pasta, that and a can opener is really all that you need. A simple pasta with alfredo or tomato sauce is a hot and filling meal that won’t take more than a few minutes to prepare. 3. Soup. You can either buy it canned if you really want to cut down on the effort or spend a few minutes preparing a homemade soup and letting it slowly simmer. If you decide to make it yourself a few simple ingredients can be combined in a pot in a few minutes. Then set the stove on low heat, and you can go on with your packing while your soup slowly cooks. 4. Casserole. A casserole might seem like quite the undertaking to attempt during a moving, but it really is an ideal food. A casserole can be made with leftovers from your refrigerator, which certainly beats throwing food out during a moving. The prep work may take a little time and effort, but once the prep work is done all that’s left is to throw it in the oven. Then you have a hot and filling meal, and will probably have leftovers that you can heat up again later.